baeumig: Apfeltasche gefällig? 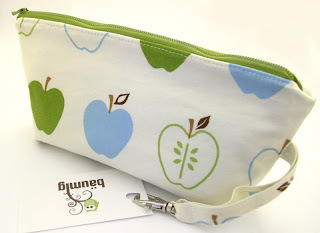 ** Want an apple bag? Apfeltasche gefällig? ** Want an apple bag? Trotzdem möcht ich die vegane Apfeltasche vom Tibits empfehlen (2. Bild). Ok, in English the wordplay doesn't work. "Apfeltasche" is the german word for "apple turnover". 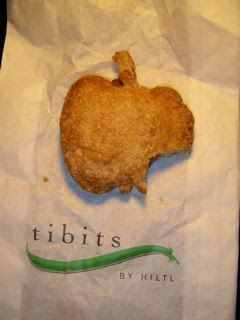 I want to recommend the vegan apple turnover from Tibits though (2nd picture).